Visit us at SF Fat Loss in San Francisco and start on your journey to the best version of yourself. Our dedicated team is here to help and guide you through a variety of programs each designed to meet your specific goals while paying close attention to your needs. We specialize in helping you get the body you’ve always dreamed of having. We have two convenient locations to serve you in San Francisco and San Mateo. When it comes to meeting our clients’ needs, we aim to exceed your expectations. Our San Francisco fat loss programs are safe and designed to give you incredible results. Our weight loss programs offer an opportunity for you to see a significant change in a way that’s fun and easy. These are weight loss solutions that work and we’re here to help you have the best possible opportunity. To achieve your weight loss goals, our team will work with you to develop weight loss programs that meet your specific goals and that are designed to accommodate your needs. You’ll get one-on-one support and guidance from our professionals as you work towards a fitter and healthier you. Body composition analysis so you can see the results you desire! Ask us about each of our fat burning and weight loss product options. We’re here to create a specialized program just right for your needs. When you meet with Ms. Sandi Rocco or her team, you will be given a rundown of the available weight loss treatments available to you. Our team offers a consultation that’s very thorough to discuss your struggles and your needs. As a fat loss specialist, she understands your needs and your concerns. She’s willing to help you! Ms. Rocco is a certified nutritional therapist, health coach, and laser technician. She’s committed to helping you to find the solution that fits your specific goals. To achieve these goals, Ms. Rocco offers one-on-one client interactions, while also offering her services through corporate wellness events. She also has completed numerous health and weight loss-focused programs so she can provide her clients – from all walks of life – with the very best opportunities available today. Ask her about the weight loss product or fat burning process you’re thinking about and get an honest opinion. You can achieve your goals. 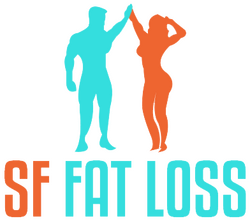 When you call SF Fat Loss in San Francisco or San Mateo, you take the first step towards a healthier version of yourself. Put your trust in our team so we can help you lose weight and look incredible in the process. Schedule a consultation today in San Mateo by calling 650-212-1000 or call our San Francisco offices at 415-834-8088. "Great experience!!! Sandi provides a welcoming environment and is there to assist you in all your weight loss goals. She is very knowledgeable and will help break down all the different procedures/weight loss options provided at sf fat loss. The San Mateo location is easy to get to and has plenty of parking. Sandi will work with your schedule to accommodate you. Let her along with Dr. Colgin change your life and get you healthy."